Follow the Recovery Friendly Workplace Initiative on Facebook and Twitter to stay up-to-date on newly designated businesses, news highlights, and a range of useful resources. 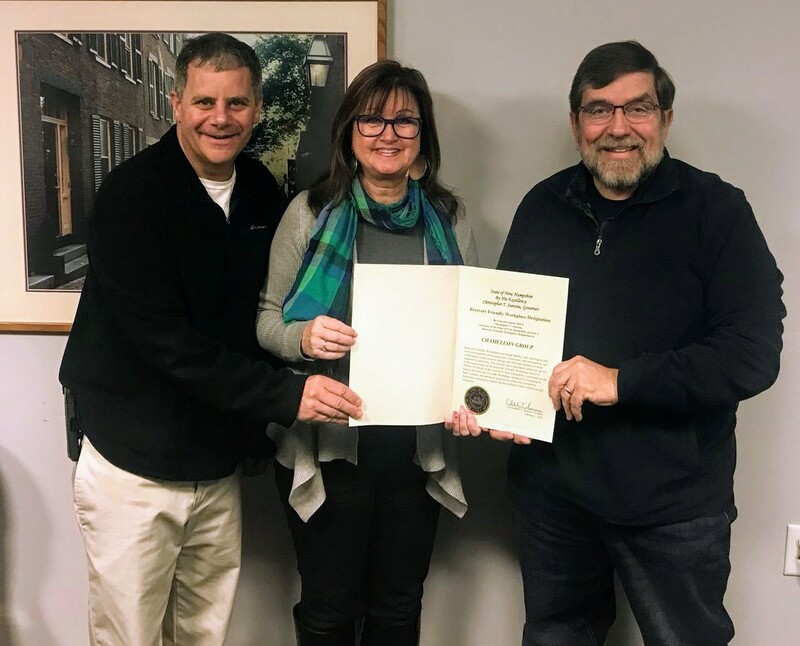 Dana Lariviere, President & CEO, and Vinny Bossi, Chief Operating Officer of Chameleon Group, receive designation certificate from Karen Morton-Clark, Recovery Friendly Advisor. 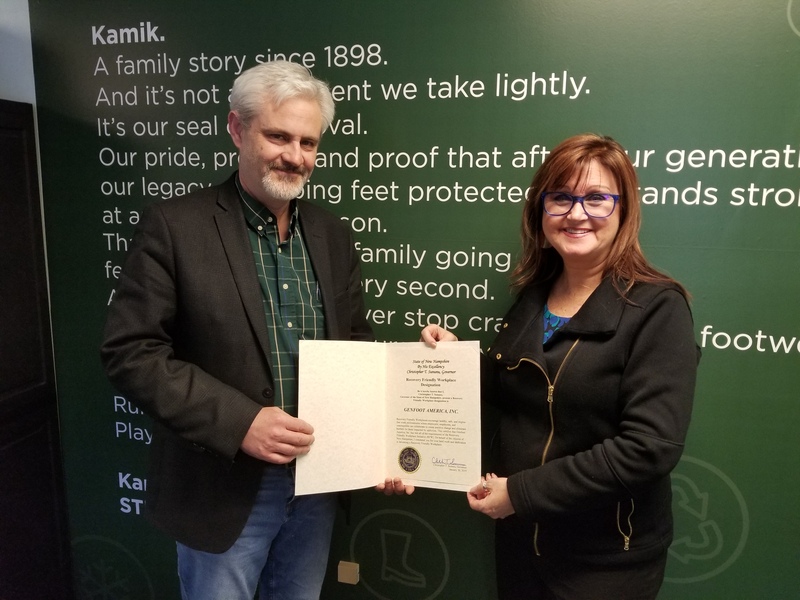 Mark Bonta, Plant Manager of Genfoot, Inc., receives RFW designation certificate from Karen Morton-Clark, Recovery Friendly Advisor. 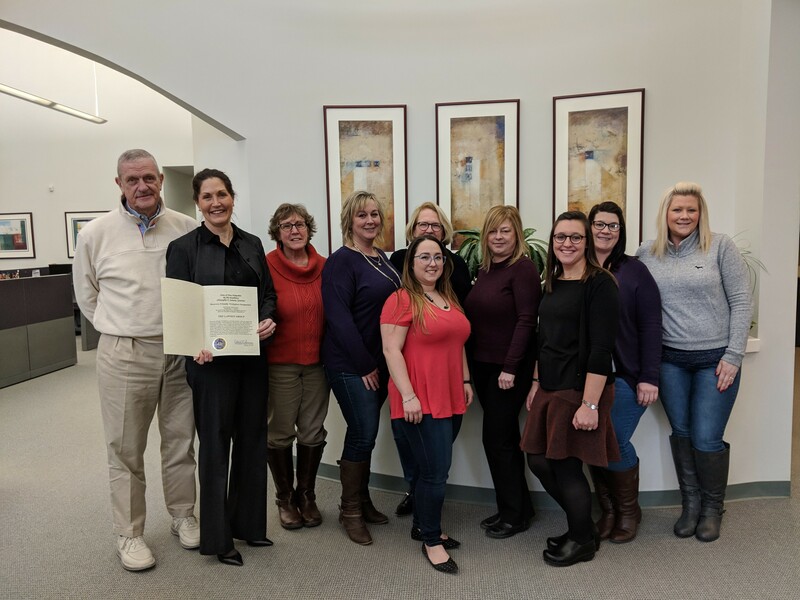 Scott Lawson, President, and Cheryl Coletti-Lawson, Chief Operating Officer, as well as other team members of The Lawson Group receive RFW designation certificate. 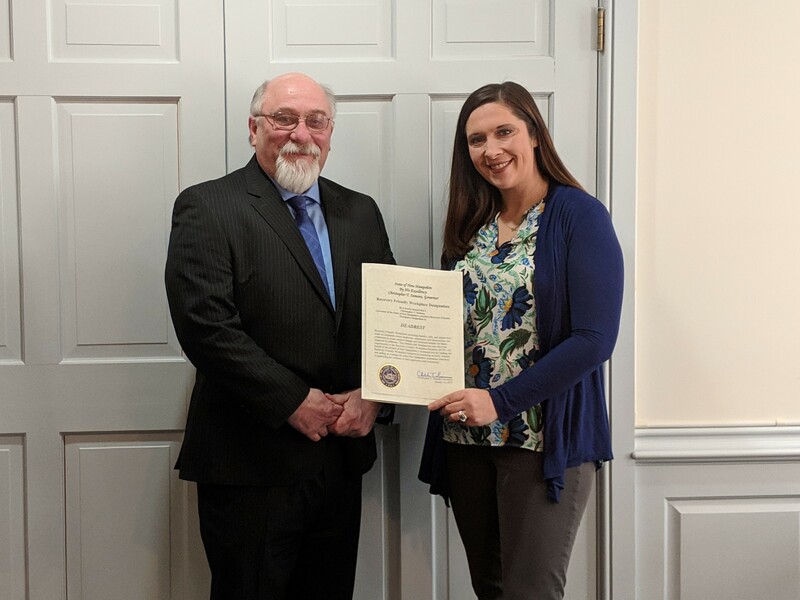 Cameron Ford, Executive Director of Headrest, receives RFW designation certificate from Shannon Bresaw, RFW Program Director. 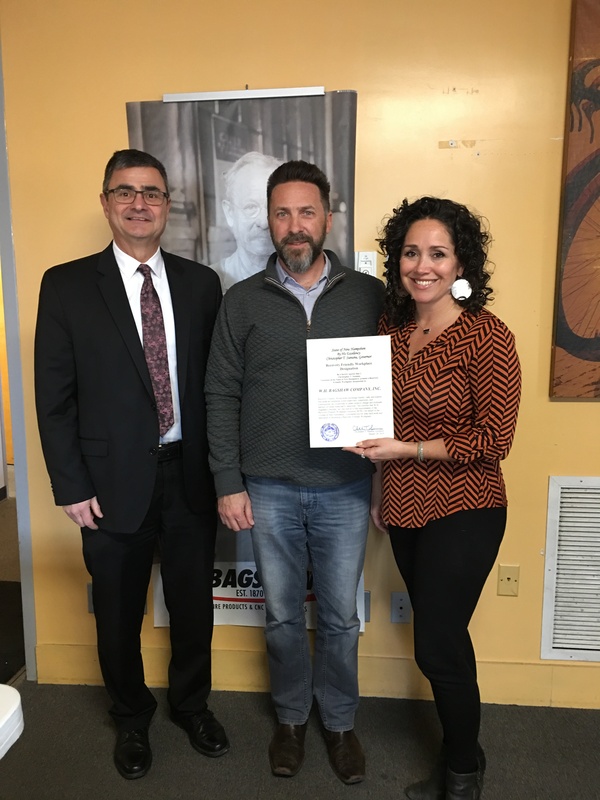 Aaron Bagshaw, President, and Adria Bagshaw, Vice President of W.H.Bagshaw, Inc., receive RFW designation certificate from David Mara, Governor's Advisor on Addiction & Behavioral Health. The Recovery Friendly Workplace Initiative is thrilled to announce our first Official National Non-profit Partner, Facing Addiction, a national non-profit organization dedicated to finding solutions to the addiction crisis by unifying the voice of the over 45 million Americans and their families directly impacted by addiction. Facing Addiction recently merged with the National Council on Alcoholism and Other Drug Dependence (NCADD). Co-Founder, Greg Williams, has been an integral part of launching this initiative and we are grateful for his support and guidance. Greg is a filmmaker and a recovery leader. He is the award winning documentary filmmaker of The Anonymous People, a film that traces the history and struggles of over twenty three million individuals living in recovery. His most recent film project, released in 2016, Generation Found, is a powerful story about one community coming together to ignite a youth addiction recovery revolution in their hometown. He served as the Campaign Director and one of the Executive Producers of the historic Unite to Face Addiction Rally on the National Mall in Washington DC, on October 4, 2015. This historic event was designed to ignite a movement and launch an ongoing unified national campaign to solve the most pressing health issue of our time. With a Master’s degree in Addiction Public Policy from New York University and over a decade of experience working with non-profits and government agencies on addiction and recovery solutions, Greg is widely recognized as a leader in the recovery movement. His contributions and voice often leads the way for change. Greg presently resides in Connecticut with his wife, two children and family dog. He believes in the power of story-telling to open hearts and minds to create sustainable social change.